Property listed by The Davis Agency. Super private and serene in 78704! Beautifully appointed 3 bedroom with 2.5 baths and private garage. Walls of windows provide an abundance of natural light. Modern design and finishes. Master suite and another bedroom down and the entire second floor comprises 3rd bedroom that lives like a 2nd Master. Concrete floors and wood throughout, no carpet!Smaller third bedroom currently set up as office.Private backyard for entertaining.No monthly HOA fees, see agent for details!You don’t want to miss this one! 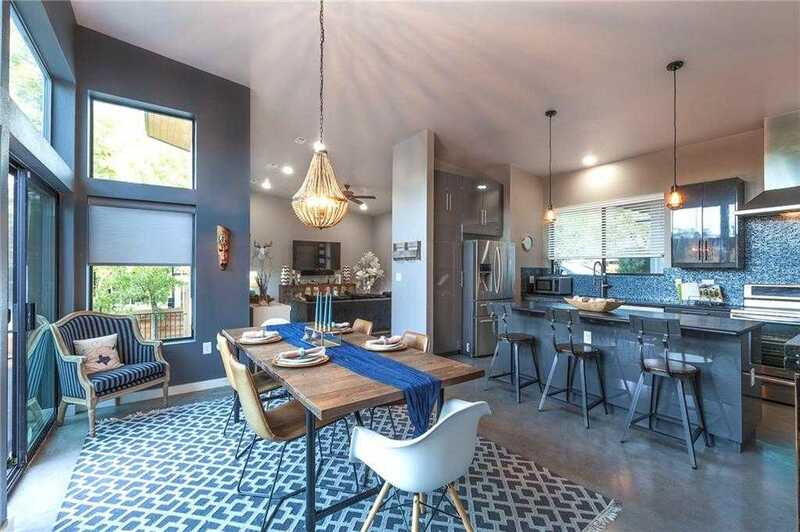 Please, send me more information on this property: MLS# 9228440 – $579,000 – 4102 Clawson Rd #b Unit B, Austin, TX 78704. I would like to schedule a private showing for this property: MLS# 9228440 – $579,000 – 4102 Clawson Rd #b Unit B, Austin, TX 78704.